None tournament can be organized without referees - as this is as significant part of the tounament as the teams, we would like to dedicate some space for our this year's officials too. Give a warm welcome to Marcos Pérez Outeda and Héctor Fraile Muñoz who, for the first time, decided to take part in Jarun Cup! 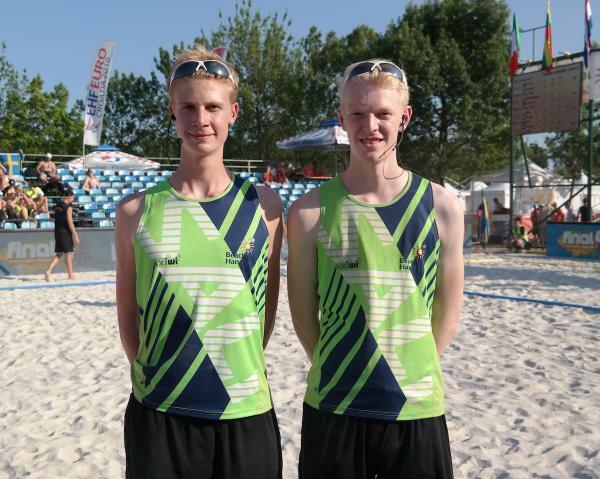 :) Take a look how Marcos answered to fundamental question: "why beach handball?" and what does he think about the future of our beloved sport. Last time we introduced to you Göteborg BHC that is expanding beach handball knowledge around people with disabilities, this time we stay in the subject of spreading the word about our beloved sport - give a warm welcome to Pyrki Poznań from Poland that is strongly engaged in equal development of indoor and beach handball skills among kids and youth. Check out how it all started and how they manage to combine both types of handball, from the interview with Pyrki's leaderÂ - Karolina Peda. We don't slow down the pace! It's time to reveal the sensation of this year's Jarun Cup - sit down before you read on :) Göteborg BHC is preparing real Swedish invasion in April! :) They annouced participation in 4 categories: junior boys&girls and senior men&women with 5Â teams! Believe us, you really need to readÂ our interview with Göteborg's coach Tony CarlssonÂ - you will get to know how the oldest Swedish beach handball club overcome climate limitations and what does it mean to them "to be open to everyone" (we promise, you'll be positively surprised).